If you are looking for one of those experiences that give flavor to every moment, Benitto’s Paninoteca Bar will captivate you and take you into a universe where the food, wine, and music will lead you to discover the true meaning of the word flavor. 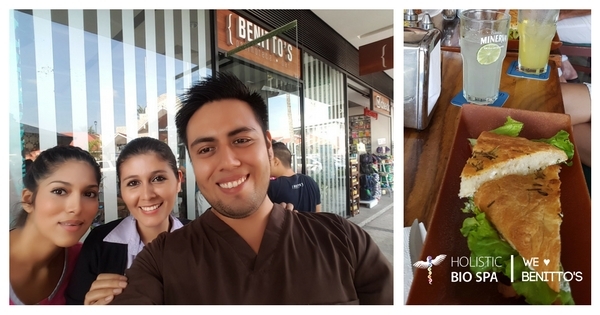 The Holistic Bio Spa team recently visited Benitto’s Paninoteca Bar, and we loved the unique delicacies found in this magical place. A special thanks to the owner and good friend of ours, Benitto! Benitto’s Paninoteca Bar is a unique, lovely restaurant. Its menu, full of European memories, delights the palate while you enjoy a relaxed environment. As long-time residents and naturopath alternative medical experts in Puerto Vallarta, we feel honored to visit a restaurant that has the perfect combination of healthy and exquisite food; and healthy and exquisite aren’t usually used in the same sentence. Delicious Panini, good wine, salads, personality, soups, breakfast, coffee, desserts, music, martinis, friends, and the sauces are amazing! Its 100% original concept makes Benitto’s Paninoteca Bar, number one in the select group of unique in Puerto Vallarta restaurants. 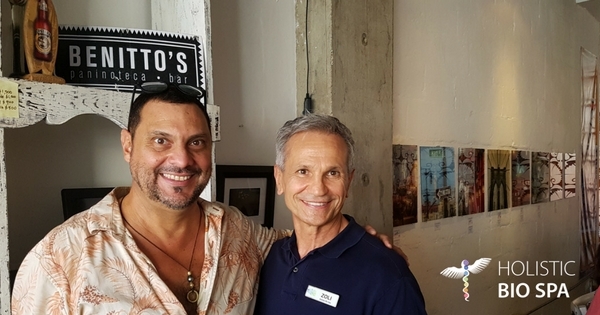 We are indebted to Benitto’s Paninoteca Bar for allowing us to bond as a team while enjoying their tasty paninis, famous French dip sandwich, delicious pasta and more. We cannot recommend this place enough. Visit Benitto’s Paninoteca Bar, enjoy the comfort, the live music, and their tasty delicacies. Our team of health experts benefited from delighting their palate with healthy delicious food and connecting in this lovely place. We invite you to live the experience! Paseo de la Marina 121 Local 21 (calle Popa) Puerto Vallarta, Mexico. Have you ever visited Benitto’s Paninoteca Bar? We’d love to hear about your experience! Tell us in the comments!